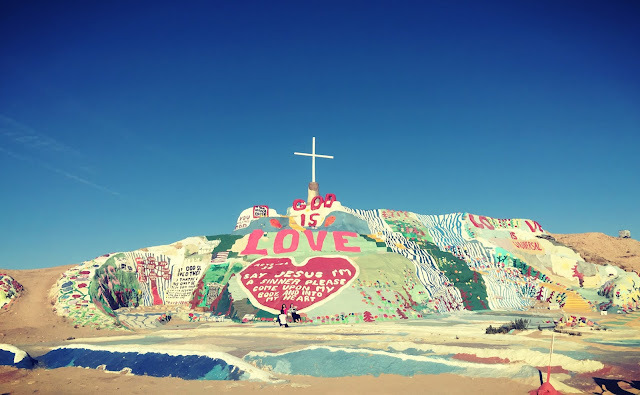 Salvation Mountain is just south of the Salton Sea, outside of the small town of Niland, California. It was the vision of artist Leonard Knight who wanted to share his faith through his artwork and has become an icon drawing visitors from around the world. 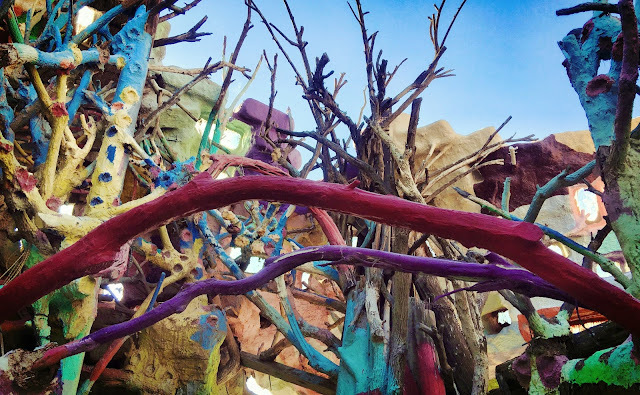 Made out of straw and mud adobe and covered with Latex based paint the site requires constant touching up and maintenance as the desert tries to reclaim the man-made mountain. 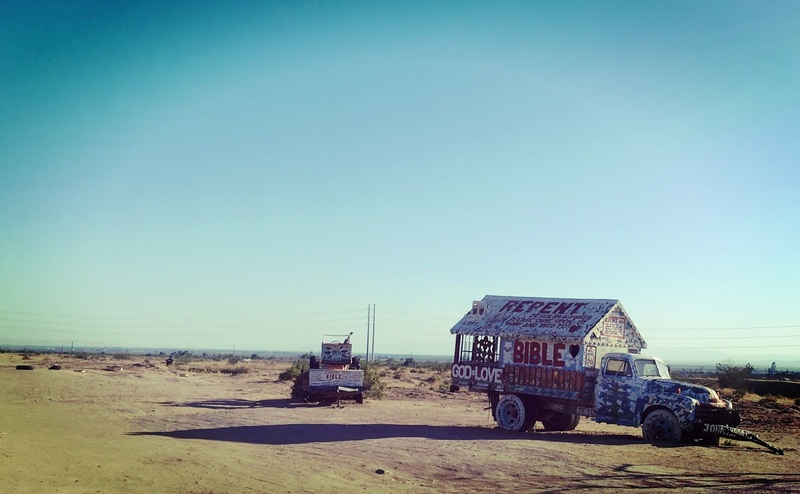 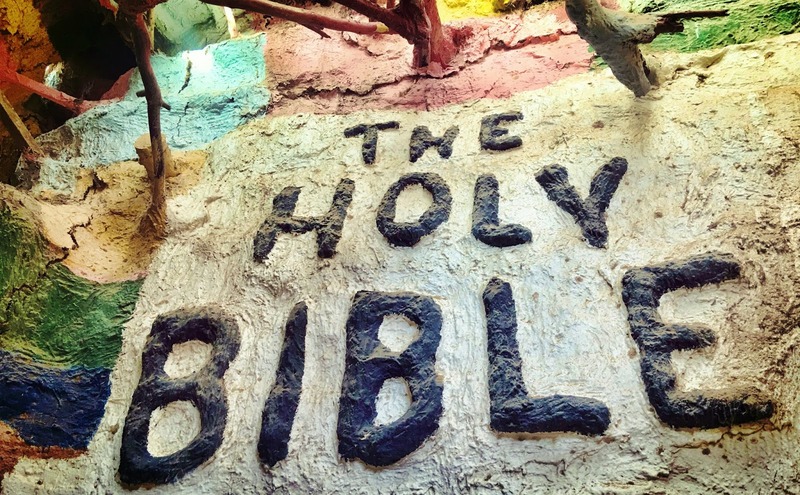 Located about an hour and a half from Palm Springs, Salvation Mountain makes a great day trip, nearby "Slab City" a squatters colony is also home to the East Jesus art museum, a collection of art made from salvaged materials. 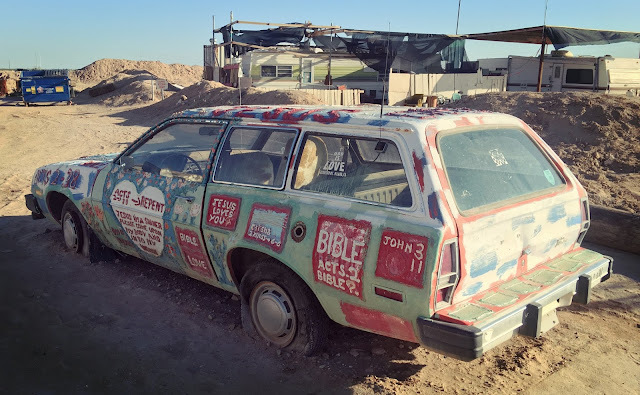 Most of the inhabitants of Slab City are harmless artists and hippies, however, the transitory nature of the community means it can be dangerous, so use caution when visiting. Salvation Mountain is free to visit, however, they do accept donations of cash or even better a 5-gallon bucket of latex paint. 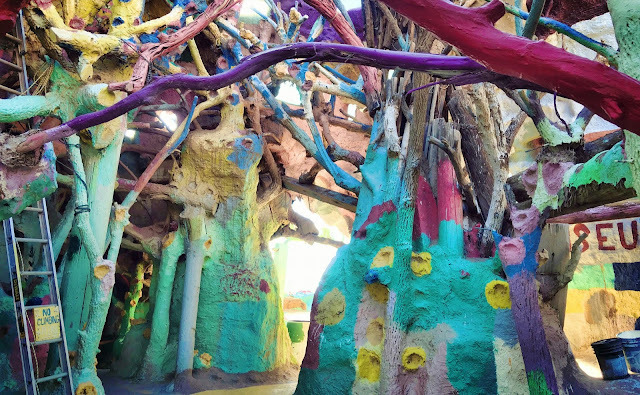 To get directions to Salvation Mountain CLICK HERE.